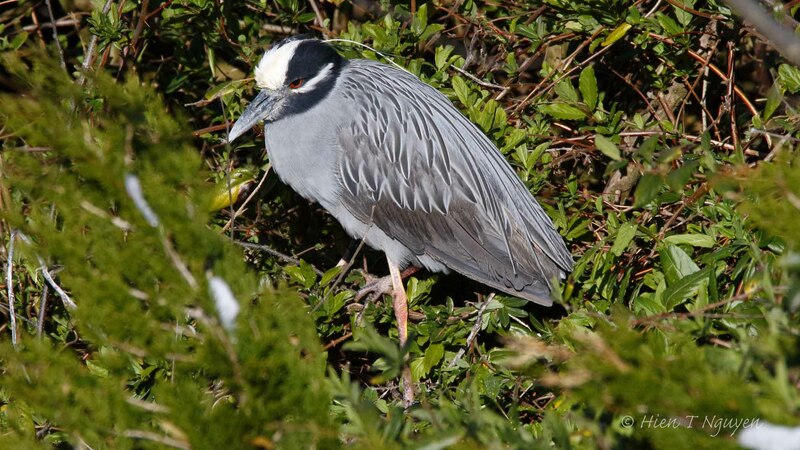 Black-crowned Night Herons winter in Mexico and further South, coming North to breed when Spring comes. I was told by a fellow photographer that they migrate to Ocean City, NJ, about 20 miles South of Edwin B Forsythe National Wildlife Refuge where I usually go. 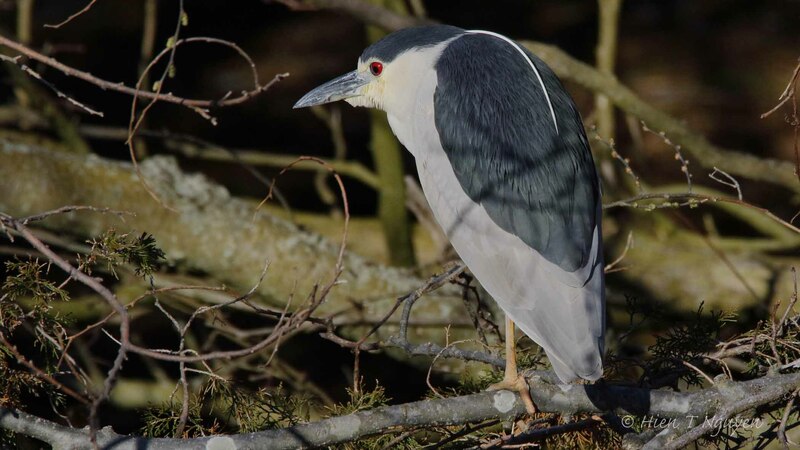 This morning I went to the Ocean City Welcome Center which opened 3 years ago and is becoming famous for its population of Black-crowned Night Heron. It had snowed the day before, but they were there, about two dozens of them, most perched on tree branches. They were half asleep since they are normally only active at night. I had never seen them until today, so these are my first shots of this kind of heron. Black-crowned Night Heron at Ocean City Welcome Center. Note snow on the ground. Black-crowned Night Heron at Ocean City Welcome Center. 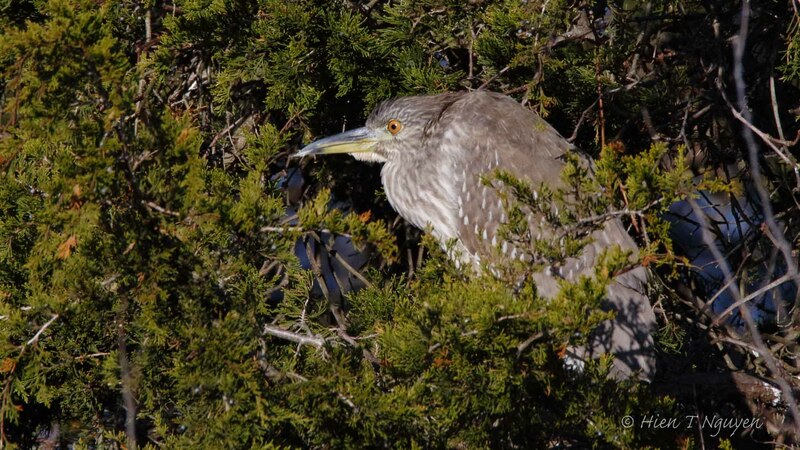 Juvenile Black-crowned Night Heron at Ocean City Welcome Center. Must have been a delight to see these for the first time. Thanks for sharing. Great photos of a species that has eluded me when I’ve gone looking for one on the rare occasion that one is seen in my area. Thanks to you, I have a better idea what I’ll be looking for the next time. 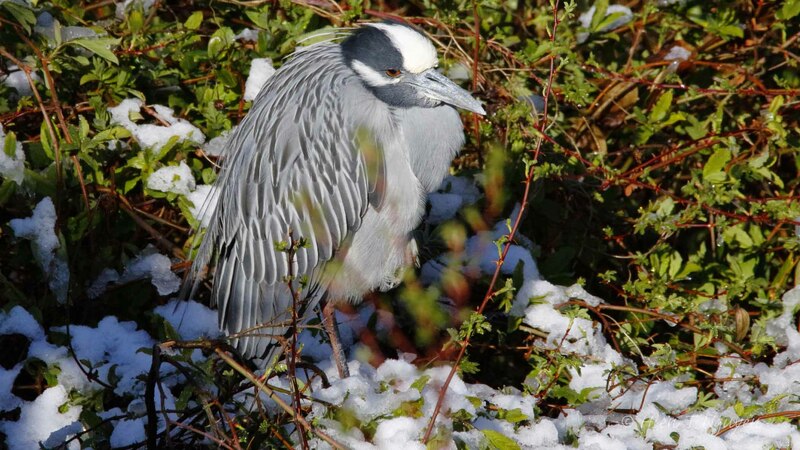 As long as you have wetlands, these herons should go there in the summer. The Ocean City Welcome Center was built recently as part of a causeway, and perhaps it passes by a location they have been migrating to for many years. Anyway, I was thrilled to see so many of them in one place from a very convenient place to take pictures. Fantastic and dramatic images. You have great night photography skills too! TRhanks Sure. These photos were taken early in the morning with plenty of sunlight. I may come back some other day in the evening, but I am not equipped for nighttime shooting. I think I mistook the dense brush underneath for night time! Now that you mention it, I can see why you did! Indah, actually they close their eyes when sleeping, but I chose to photograph those that had their eyes open, or at least half open.